In 1967, Coastal Aviation Company Inc. began commuter flights in Florida as Coastal Airlines using a pair of Beechcraft B-99s. The airline had previously operated as Coastal Cargo and began operations as a charter carrier in 1955, offering cargo service using C-46 equipment. 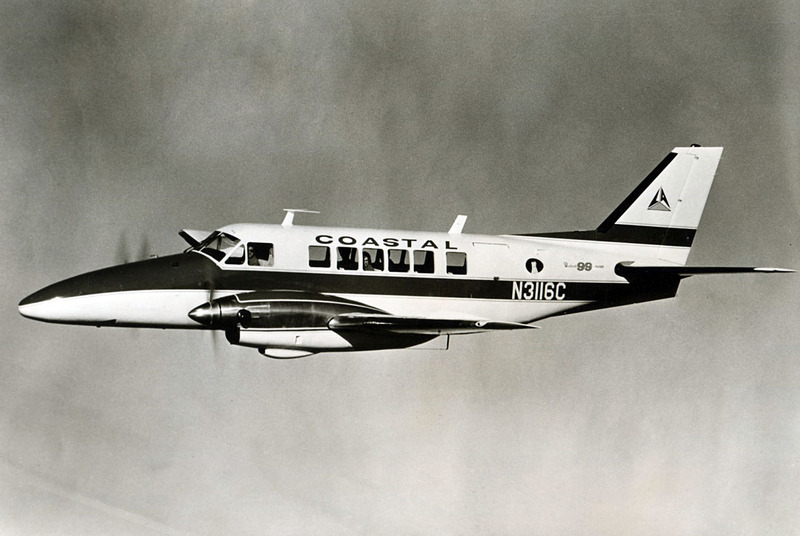 Coastal Airlines used a pair of Beechcraft B-99s for passenger flights and also used Grumman Mallards as backup aircraft. This is a 1969 press photo of N3116C. 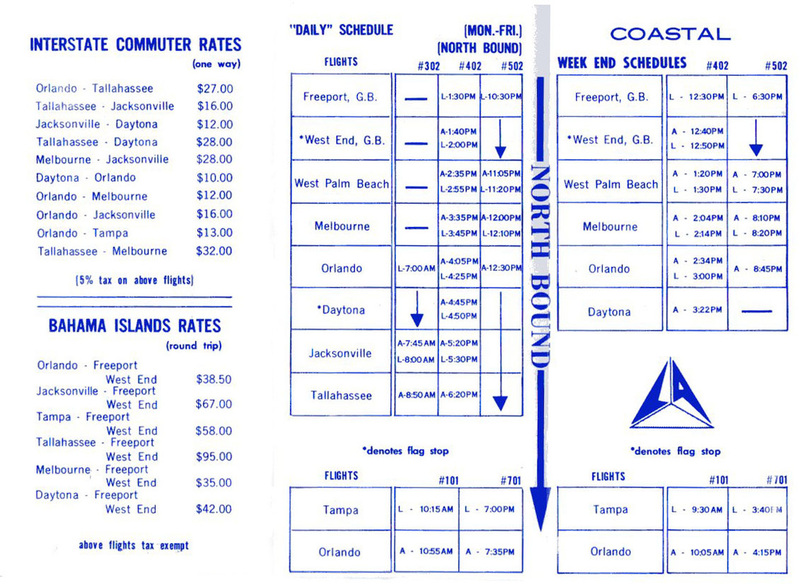 ﻿Coastal timetable﻿ circa 1968, courtesy of Don Henchel, showing service to six Florida cities and the Bahamas. The airline also offered flights to St. Petersburg International in early 1969. Planned flights to St. Petersburg Downtown Airport were never initiated due to a dispute with the airport over parking space. Interior of Coastal Airlines timetable circa 1968 courtesy of Don Henchel. Flights to West Palm Beach are also listed although the city is not shown on the route map or list of fares. 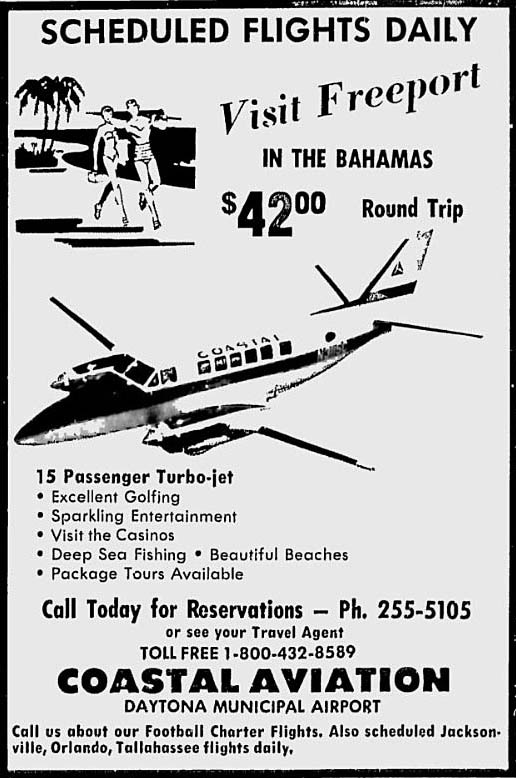 This Coastal advertisement appeared in the October 7, 1968 issue of the Daytona Beach Morning Journal. On April 22, 1969, the St. Petersburg Times reported that Coastal had suspended flights and was returning the B-99s to their owners.